Why go all the way to China to talk about climate change, when there are plenty of conversations to have here in the U.S.? 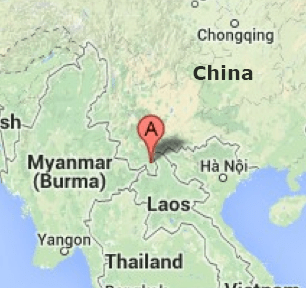 Xishuangbanna shares border land with Myanmar and Laos. Returning from a week at Xishuangbanna Tropical Botanical Garden for their Third International Symposium focused on “The Role of Botanic Gardens in Addressing Climate Change,” I’m struck both by the complexity and difference of the Chinese culture from ours, and by how many of the same challenges we face. These challenges are global, and to solve them, we need to take a global perspective. Though the United States and China are in very different stages of economic development, we are the two leading emitters of greenhouse gasses—and we must lead the way in reducing our impact. 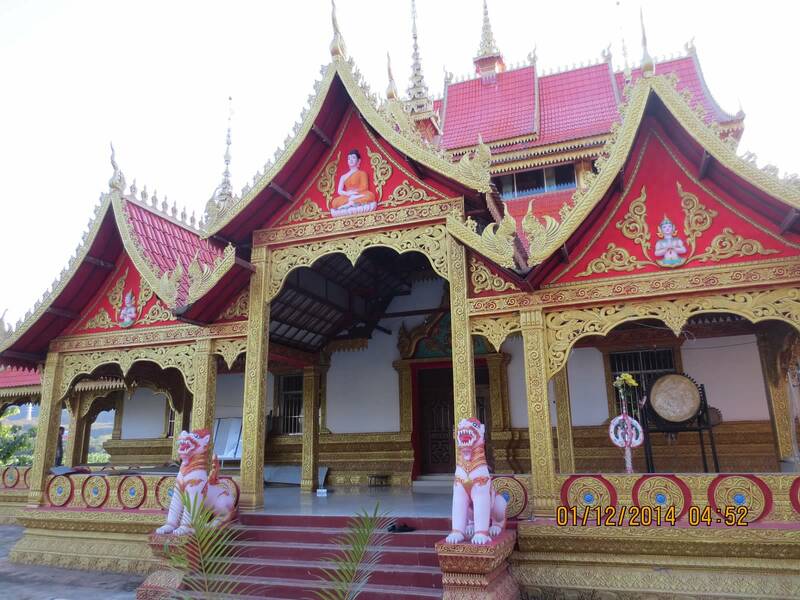 Xishuangbanna Tropical Botanical Garden is located near the village of Menglun in the Dai Independent Prefecture of Xishuangbanna in Yunnan province in China, which shares 619 miles of borderland with Myanmar and Laos. The area is a lush, tropical paradise, and does not seem at all affected by climate change, but it is a concern: the tropical areas of China—only 0.2 percent of its total land mass—represent more than 15 percent of the biodiversity in the country. 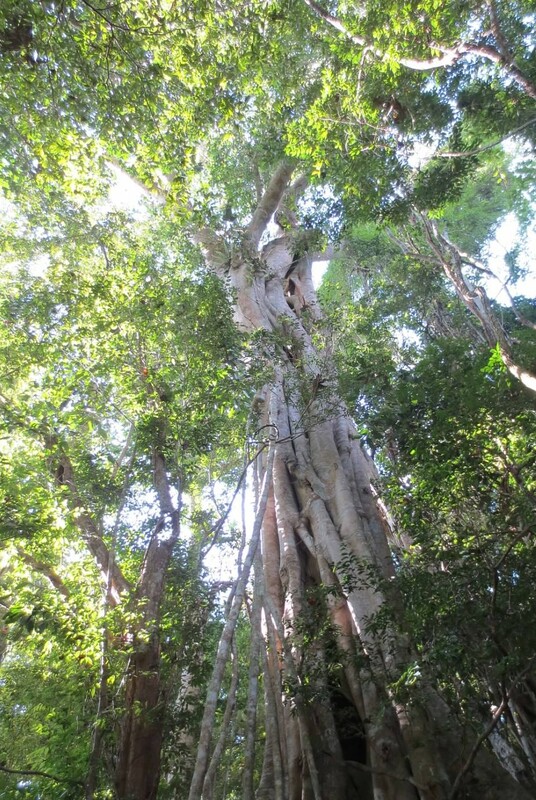 Strangler figs and other enormous tropical trees create a high canopy above the forest floor. 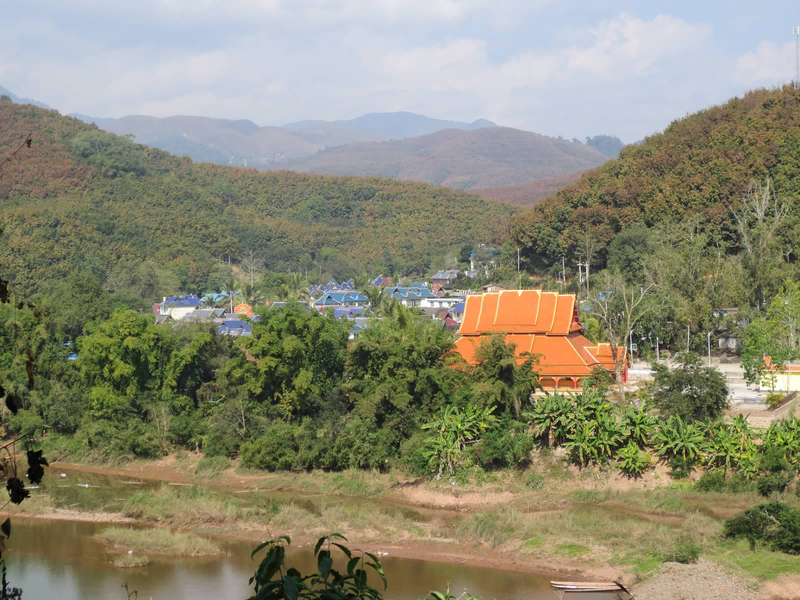 Biogeographically, Xishuangbanna is located in a transitional zone between tropical Southeast Asia and subtropical East Asia, so the climate is characterized as a seasonal tropical rain forest, with an annual average temperature of 18-22℃ (64.4-71.6℉), with seasonal variation. At about 20 degrees north of the equator, it is just on the northern edge of what is considered the tropics, though it does follow the rainy/dry seasonal patterns—May to October is the rainy season and November to April is the dry season. During my stay, they were experiencing weather somewhat colder than usual, with nighttime temperatures in the upper 40s and daytime temperatures in the low 60s. Earlier in the month, it was only in the upper 30s, but still far warmer than here in Chicago! The vistas were breathtaking. 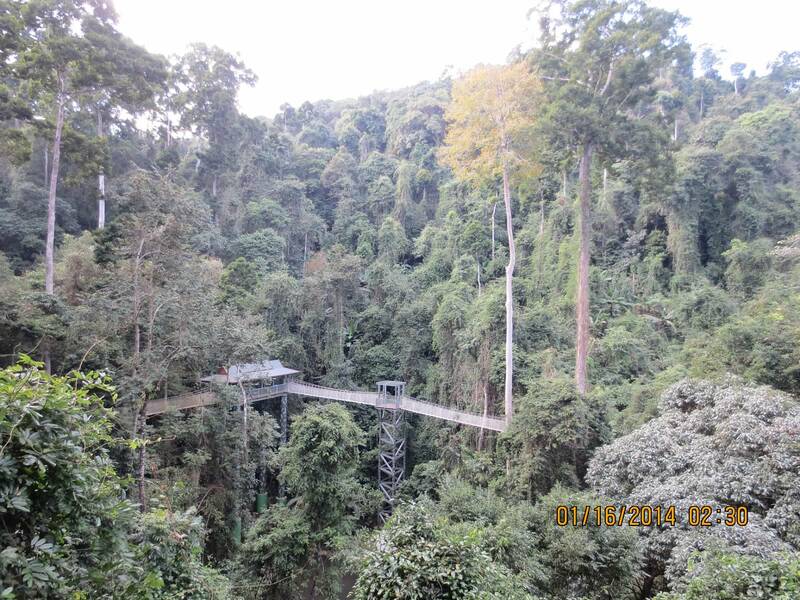 This is a mountainous region, covered with lush tropical and semitropical plant life, wild bananas, lianas (long-stemmed, woody vines), tualang (Koompassia), and Dipterocarpaceae trees—some of which are more than 40 meters tall! When I arrived on January 10, I noticed that many of the mountains were covered with what looked like vast areas of rust-colored trees. Rust-colored, I learned, because of a recent cold snap that damaged the leaves of the local monoculture: rubber trees. A view of Menglun Village from Xishuangbanna Tropical Botanical Garden. 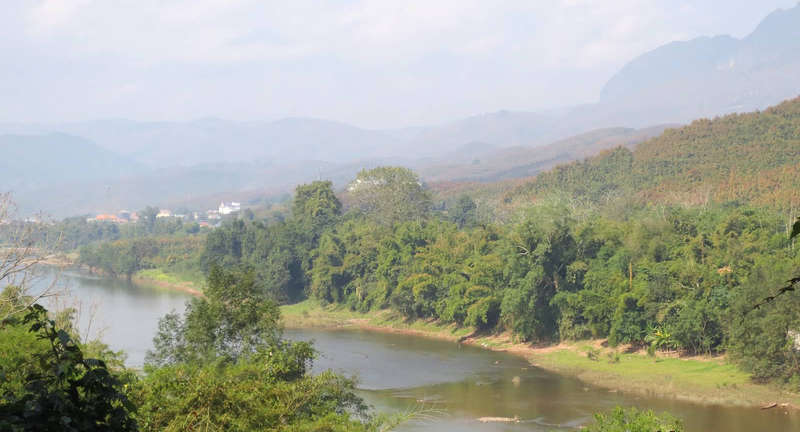 The Mekong River tributary is in the foreground; rubber trees cover the hills in the background. 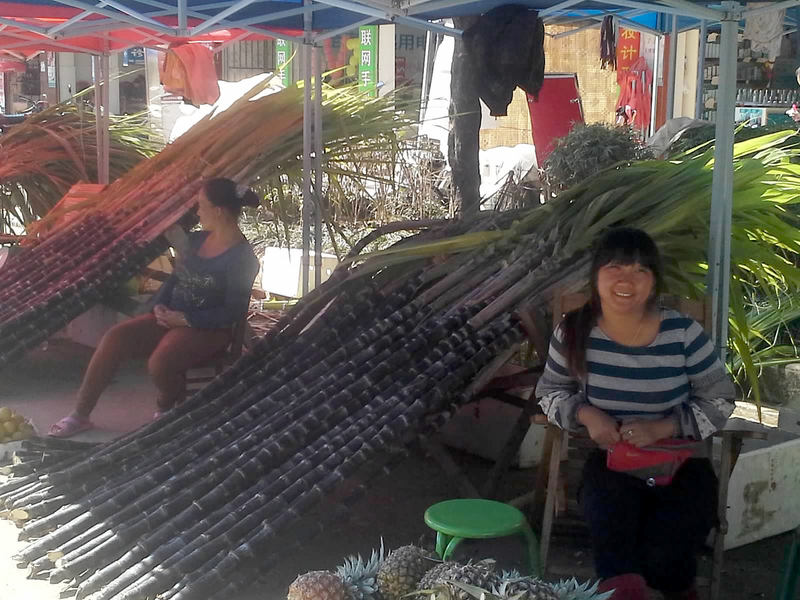 Rubber is the new thing in Xishuangbanna. Over the past 40 years, rubber trees have been bred for cooler climates, so production has moved northward from the true tropics to areas like Xishuangbanna. This has had enormous benefits for the local Dai population. Subsistence farmers in the past, they have been able to substantially improve their town infrastructure and their standard of living. But as rubber plantations expand, the ecosystem here is increasingly threatened, with only scattered fragments of untouched tropical forest left. 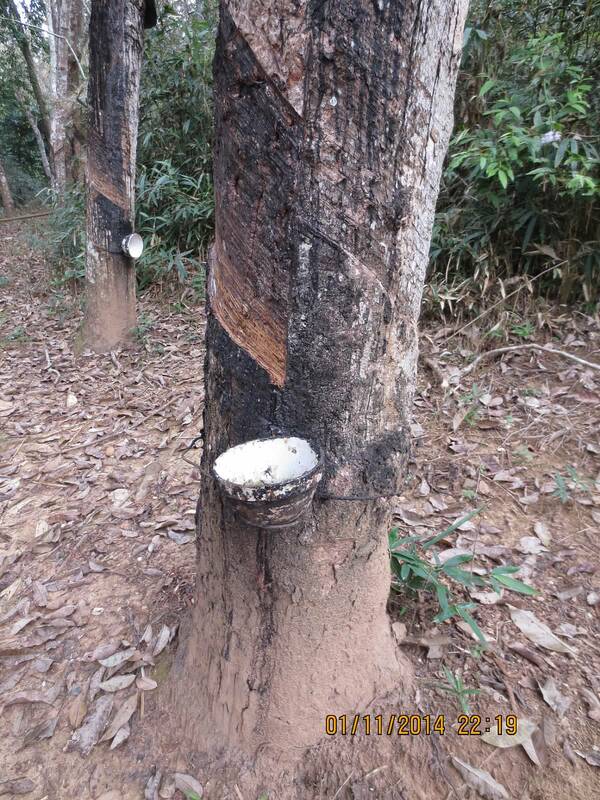 While not directly related to climate change, the impacts of rubber were extensively discussed among conference attendees, because climate change exacerbates other environmental stresses like the fragmentation caused by the rubber plots. Not originally a local crop, rubber has become a primary crop of the area. This seems to me to be a constant tension globally—the competing interest between economic development and conservation—and we’re still looking for the balance. In the United States we continue to have this debate, but around fracking and oil production rather than agriculture. Economic growth at the expense of the environment seems reasonable until we suddenly reach the point where the ecosystem services we depend on to live—clean water and air, food, medicine, etc.—are suddenly in jeopardy, either through direct human action or indirectly though other anthropogenic causes. And that brings us back to climate change. Climate change is not an easy or comfortable topic of conversation. Climate change is scary, politically (though not scientifically) controversial, abstract, and easy to ignore. It challenges us as individuals and organizations to rethink our priorities and choices, and to recognize that we may have to change the ways we do things, and how we live our lives, if we are to really address the problem. 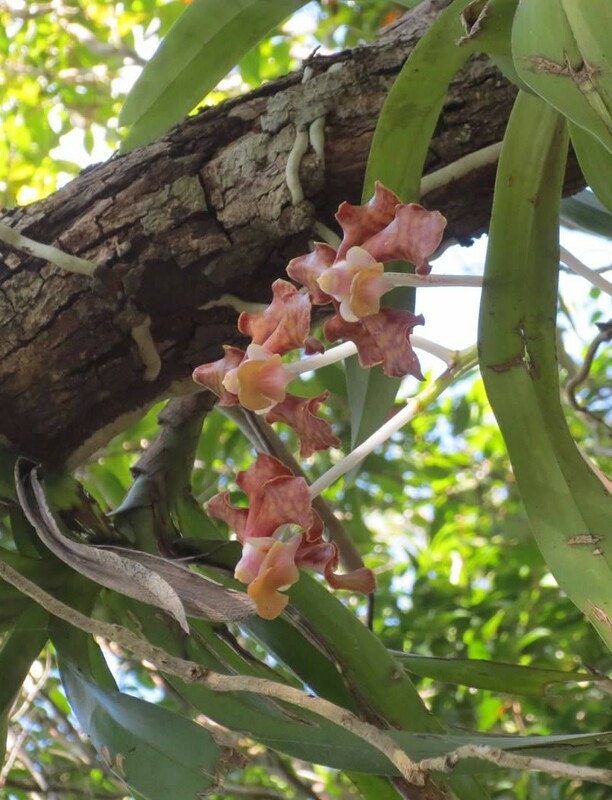 It is for these reasons, I think, that it generally is not a topic that botanic gardens have focused on when we develop our education or outreach programs. Internationally, gardens are finally beginning to work towards changing that, by building staff capacity to teach about climate change and by integrating climate-change education into existing and new programs. Where better to understand and communicate how climate change will impact the natural world than at a botanic garden, where we can actually observe its impacts on plants? The purpose of the conference was to bring together a group of international botanic garden researchers and educators to share their activities around climate change and to think broadly about how botanic gardens can and should use their resources to support movement towards a more sustainable society, as well as how we develop mitigation and adaptation strategies both for conservation purposes and human survival. Almost 20 countries were represented at the conference, though disappointingly, I was the only U.S. attendee. 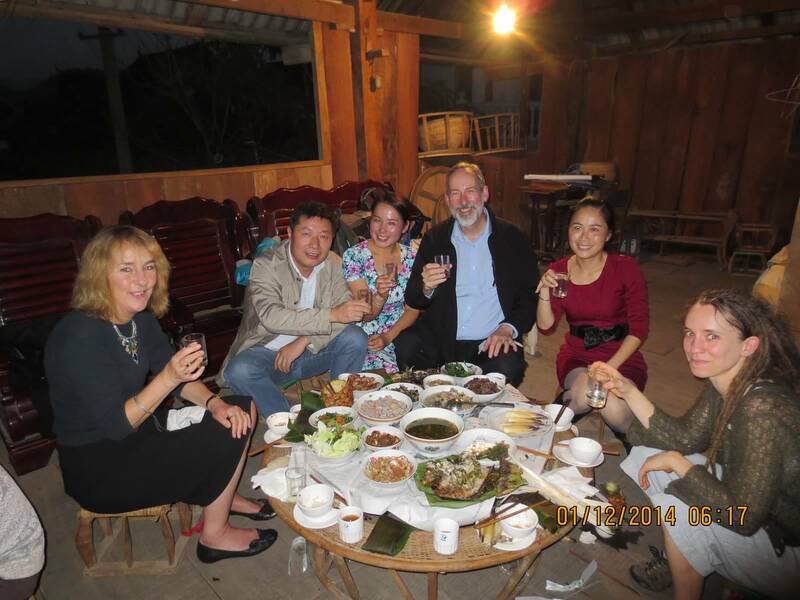 Many of our dinners were in the amazing local Dai cuisine—a real treat! My particular area of expertise is environmental education, so experiencing tropical ecosystems directly, which there obviously isn’t the opportunity to do here in the Midwest, truly amazed and inspired me, and renewed my passion for communicating the wonder of nature to all the audiences that the Chicago Botanic Garden serves. It also drove home the real challenge we have to protect these ecosystems as the climate changes. In our discussions and in the sessions, we really focused on looking for solutions—action items—immediate and long term, that we as researchers and educators, and collectively as botanic gardens, could do to make a difference. After dozens of sessions on research and education (everything from paleobotany to using neuroscience to better tailor climate- education messaging—really fascinating! ), and discussion in targeted working groups, we produced the Xishuangbanna Declaration on Botanical Gardens and Climate Change. In the education group, we took a multifaceted approach to the challenge—to really make a difference we need to increase our own capacity to communicate about climate change, more effectively engage our visitors in that discussion, and reach out to political, social, religious, and economic leaders to support the development of policies and practices that address the impacts of climate change on plants and society. It sounds like a herculean task, but if we each take one part of the job, I believe we can do it together. For example, here at the Chicago Botanic Garden we’ve stopped selling bottled water, use electric hand dryers rather than waste paper, are committed to LEED (Leadership in Energy and Environmental Design) certification for new building construction, and continue to look for other ways to reduce our carbon footprint. It’s important that as institutions, gardens begin to “live the message” by implementing appropriate sustainability policies at our own institutions. The entire declaration provides what I think is a concise, yet comprehensive, outline of how botanic gardens can use their strengths to address the very real challenge of climate change: through education, by taking meaningful steps to engage all our audiences; through research, by better understanding how climate change is affecting our environment; and through conservation, by protecting biodiversity and the other natural resources on which we depend. Highlights outside the symposium included visiting this temple and the local market, and taking a canopy walk. Sadly, raw sugar cane available in the local market would not fit in my suitcase to go home. The signs on this walk warn that there is no turning around on the path. It’s not hard to see why. SO high up in the canopy, but the hills are still taller. While there is no one “one size fits all” agenda or program that will work for every garden or every individual, I think there is a common approach that can be taken—gardens collectively need to develop a consistent message and mobilize our networks to communicate about climate change and its impacts. Gardens, along with our members, visitors, and patrons, have the capacity and the opportunity, if we will only take it, to inspire the broader community to act now for a better future. Join us. Horticultural therapy has proven benefits for individuals with autism. The integration of horticultural therapy and therapy gardens within health and human service agencies has grown exponentially in recent years. In senior centers, gardening and garden spaces are used to help with fine motor skills, socialization, and ambulatory movement. 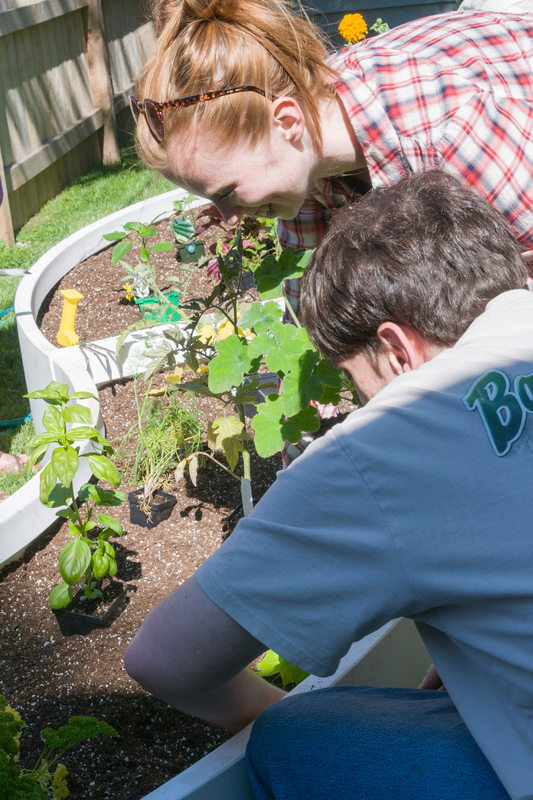 In veteran’s hospitals, gardening is used for exercise, vocational training, and education. There is one population that, in my opinion, receives the most benefit from the incorporation of gardens and horticultural therapy in daily services. That population is found in the organizations, schools, institutions, and training centers that serve individuals on the autism spectrum. 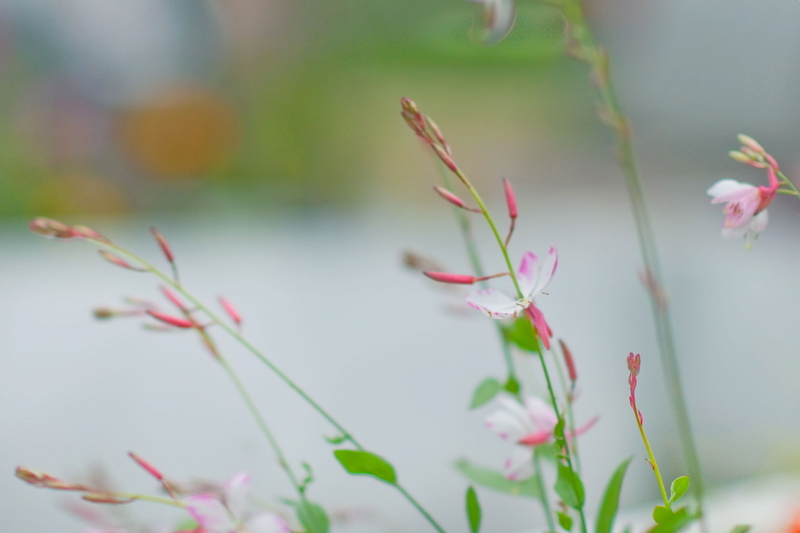 Flowers like butterfly gaura (Gaura lindheimeri) can be observed with quiet fascination. Autism spectrum disorder (ASD) and autism are general terms for a group of complex disorders of brain development. These disorders are characterized by difficulties in social interaction, verbal and nonverbal communication, and repetitive behaviors. In the spring and summer of 2013, I worked with two organizations and schools and led weekly horticultural therapy sessions in their outdoor gardens. We observed many benefits when engaging both children and adults on the autism spectrum. For today, I’ll discuss three primary benefits I observed: quiet fascination and stimuli reduction, the ability to follow direction, and tactile sensory integration. Kaplan, Kaplan, and Ryan state that quiet fascination can “come from the setting itself, from the sound patterns, the motion, the intensity of forms and color” (69). An evaluation was designed at the beginning of the season and results demonstrated that 72 percent of participants were observed having slightly to significantly less anxiety when engaging in the garden and with horticultural therapy activities in comparison to other daily tasks. The second benefit was the participant’s ability to follow directions with multiple steps. Individuals with autism spectrum have greater difficulty shifting attention from one task to another or changing routine. During horticultural therapy activities, participants would be asked to follow steps in order to complete the activity. For example, when planting the garden, instructions were to dig a hole, take the plant out of the plastic, place it in the soil, gently push the soil back around the base, and repeat. The hand-over-hand technique was often used to aid in the task and 77 percent of participants were observed being slightly to significantly more responsive to a multiple-step process and able to repeat without instruction. 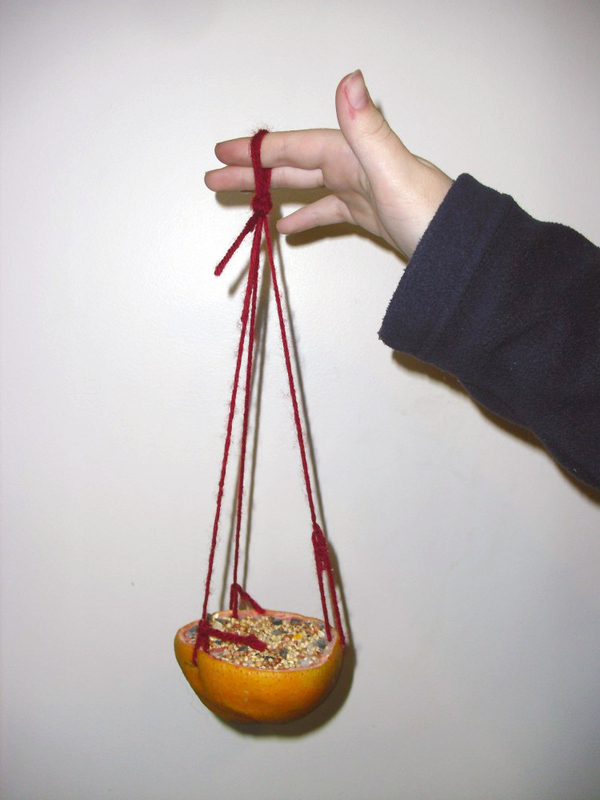 The last benefit dealt with sensory integration with a focus on the tactile system. 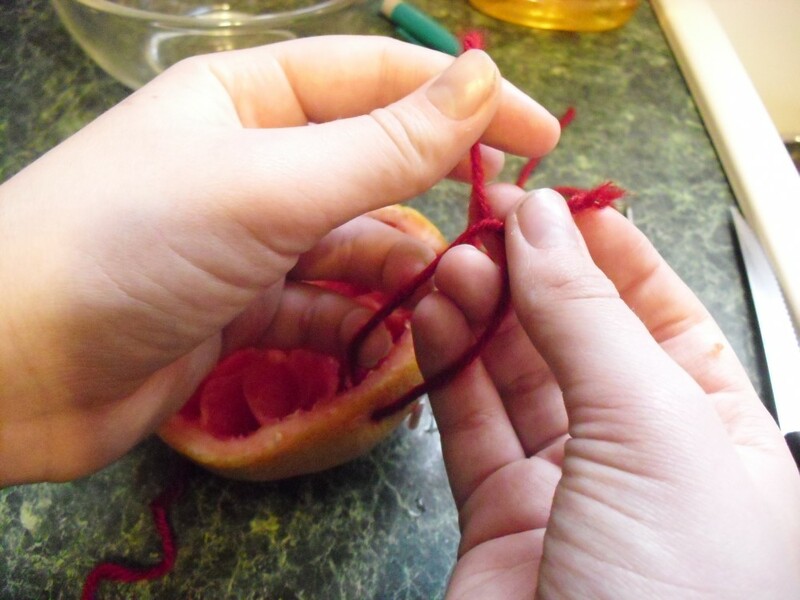 When engaging participants in garden activities, dysfunction in the tactile system prompted actions such as withdrawing when being touched or helped, and overall avoidance of getting one’s hands dirty. With assistance from facility staff, we worked with participants to slowly introduce the sensation of soil, plant material, and water to participants. Each week, we’d encourage participants to touch, rub, and smell numerous plants with interesting textures and aromas along with the soil and water. As the weeks went on, it was observed that participants were not only less reserved but also were fascinated with the soil and plants. With assistance from staff and horticultural therapist, participants were encouraged to plant with their own hands. 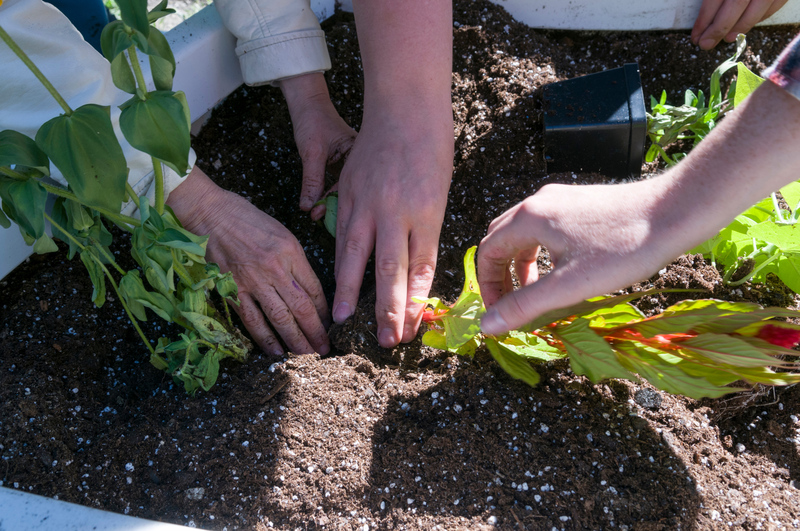 The integration of gardens and garden-based activities in health and human service agencies is expanding year after year. If you know an individual or organization who could benefit from a garden, share some of the information you learned in this blog. It’s often in those conversations, filled with factual evidence and interest, that new ideas are planted and grown. Source: Rachel, Stephan Kaplan and Robert Ryan. With People in Mind: Design and Management of Everyday Nature. Washington D.C.: Island Press, 1998. Print. 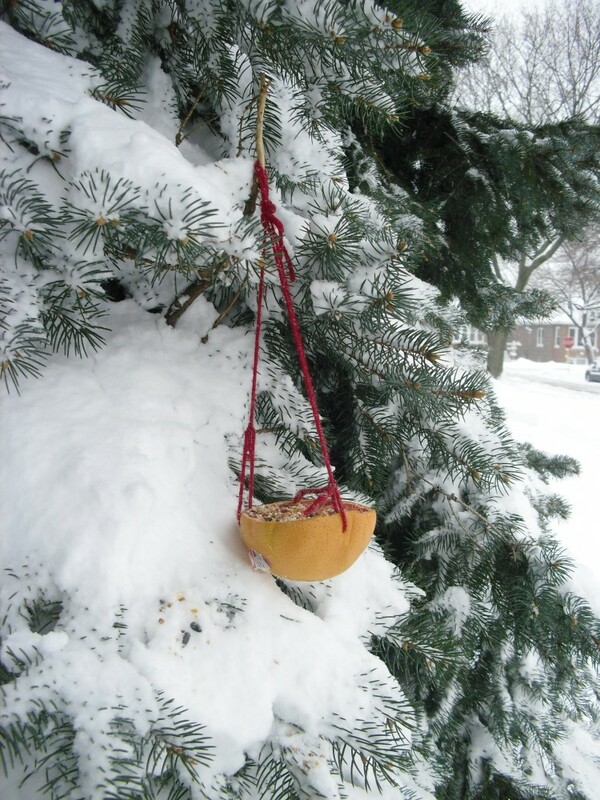 As winter winds disperse prairie seeds and fragrant pinecones tumble down, Bianca Rosenbaum is busy collecting. As much as she would love to forage through the seasonal natural materials outside of her office at the Chicago Botanic Garden, that’s not what she is after these days. Rather, she is gathering data. 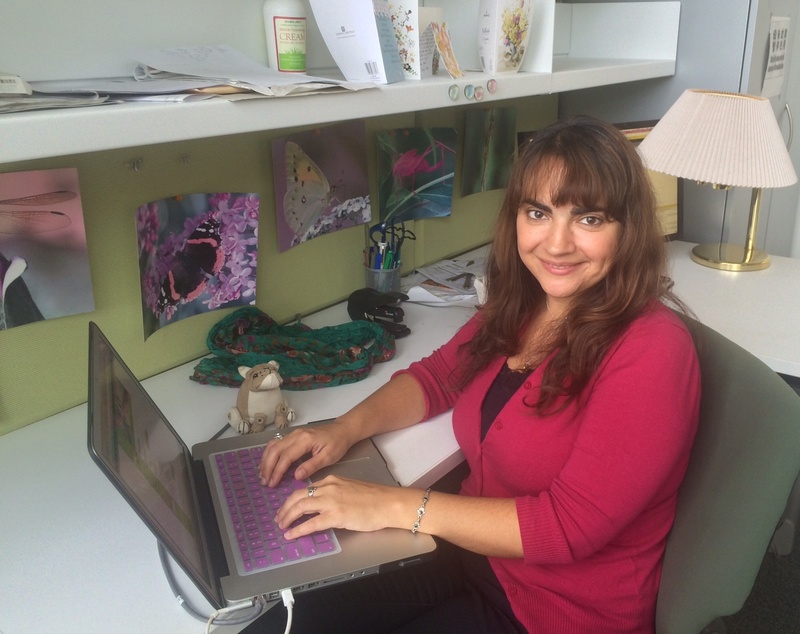 Rosenbaum manages data from her colorful office. Seated at her desk in the Daniel F. and Ada L. Rice Plant Conservation Science Center, Rosenbaum taps away at her computer’s purple keyboard. The Garden’s conservation science information manager is busy finishing her masterpiece—a searchable collection of visual and numeric plant data. The new product is a one-stop-shop for information previously housed in three separate databases and accessible by few. 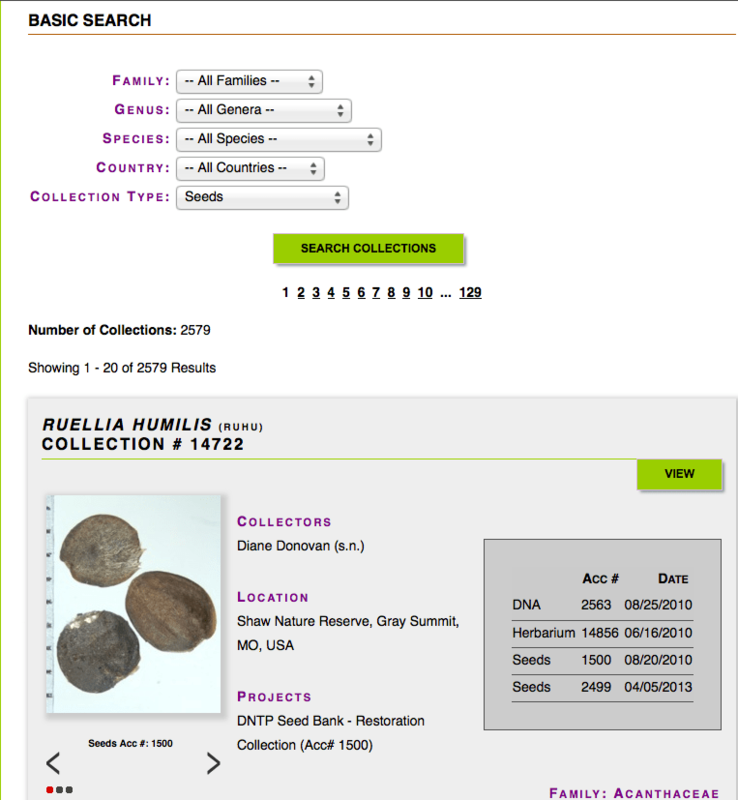 Named the Science Collections database, the project centralizes the Garden’s data on seed collections, herbaria, and plant DNA. For the first time, the information is accessible online by anyone from international scientists to curious children. Since she began working at the Garden in 2002 as an expert in Microsoft Access, Rosenbaum has overseen the safekeeping of the data in all three of these areas as well as other Garden research collections. In just a few years, the way the information was stored and managed became outdated as technology progressed. She was thrilled with the opportunity to advance its management system. When the Science Collections project began four years ago, one of her first tasks was to identify data used by all three databases and merge them into common tables to eliminate repetition and guarantee standardization. The result was a complicated set of linked tables that comprise the structure for the final product—called a relational database. A search in the Science Collections database reveals merged information about each species. She then merged all of the data on each species. 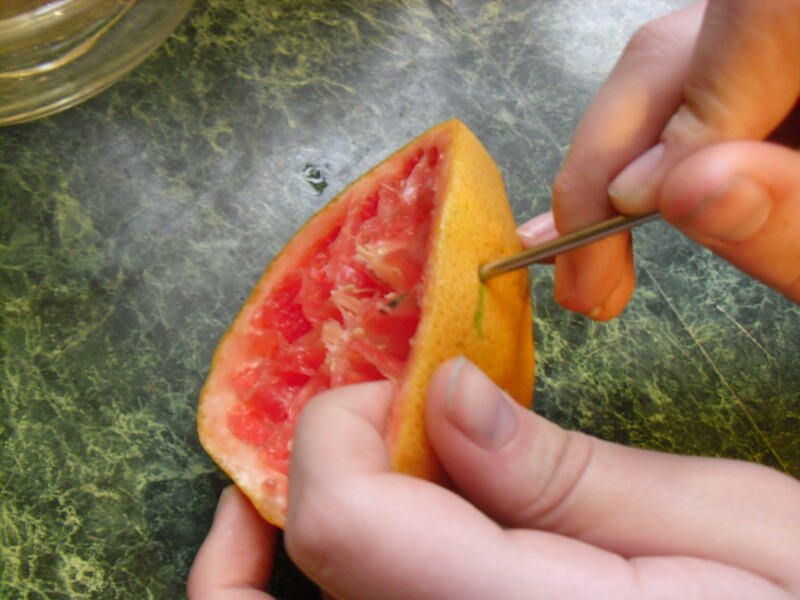 Now, rather than going to different databases to find all of the herbarium, seed, and DNA information recorded about a plant, it can be found in one place. Rosenbaum then worked with the Garden conservation GIS lab manager, Emily Yates, to add a spatial component to the data by mapping plant locations, which are linked to each collection record. Lastly, she built a web page to serve as a portal from the database to the internet. Data from the Garden’s Nancy Poole Rich Herbarium are mainly visual, with 17,000 images of pressed plants alongside notes about location and related details. Information from the Dixon National Tallgrass Prairie Seed Bank includes high-resolution images of seeds from 2,600 species. The program also includes notes about whether the Garden houses material that may be accessed for DNA sampling for a given plant. 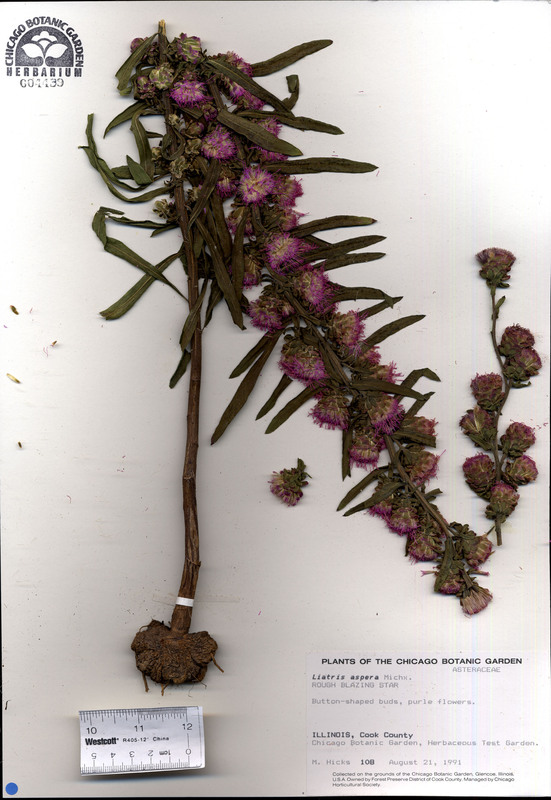 The records include information on all classifications of regional plants, and some international. Only those labeled as threatened or endangered are not shown on a map. As a child, she grew her love of technology with encouragement from her parents—an engineer and electronic assembler. She went on to study computer engineering in college, and gained work experience with coding and data management. As a Garden employee, she has coupled those computer skills with a new set of plant-related skills. She is now comfortable with plant names, discussing scientific processes, and even growing her own vegetable garden at home. 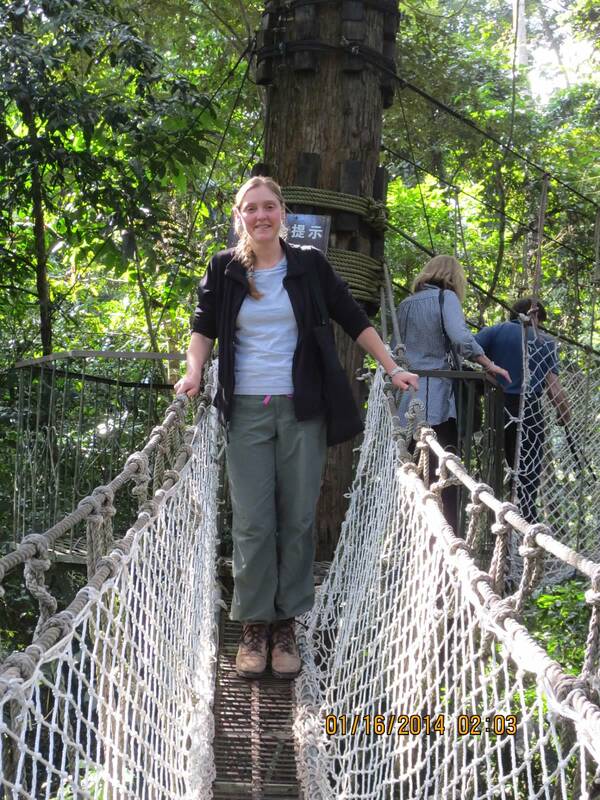 Rosenbaum often strolls the Waterfall Garden in warm months, but she especially looks forward to spending time in the peaceful Dixon Prairie. The recently launched database is now open to exploration at www.sciencecollections.org. Check back in coming months for Rosenbaum’s forthcoming addition of advanced search options. On December 4, 2013, the Garden became both the first public botanic garden—and the first Chicago cultural institution—to host a live field trip, with approximately 1,000 students across the country using Google+ Connected Hangouts on Air. Click here to download our slideshow of Nightmare on Ash Street for your classroom. Our field trip topic was the impact of an invasive species on an ecosystem—specifically, emerald ash borer on our native ash trees. We wanted to make this complicated issue relevant and interactive for fifth- and sixth-grade students. There are many fun things you can do with a live broadcast. The complex subject of balanced ecosystems and invasive species needed something unusual to capture students’ imaginations and attention. Our solution: begin our field trip with an original graphic comic about the emerald ash borer (EAB), and conclude by cutting down an infected tree during our broadcast. The live broadcast format also allowed our educators and horticulturists to go off script for some on-screen improvisation. Taking advantage of our medium, we presented from multiple locations—switching to read and show our comic book, present GIS (Geographical Information Systems) maps illustrating the spread of EAB in the U.S., view EAB larvae under a microscope in our science lab, and show how to diagnose the damage on—and treat (or remove)—an infected tree in the woods. The finale was cutting down the infected tree—live on camera! Before we signed off, we had an interactive Q&A between classrooms and Garden experts. 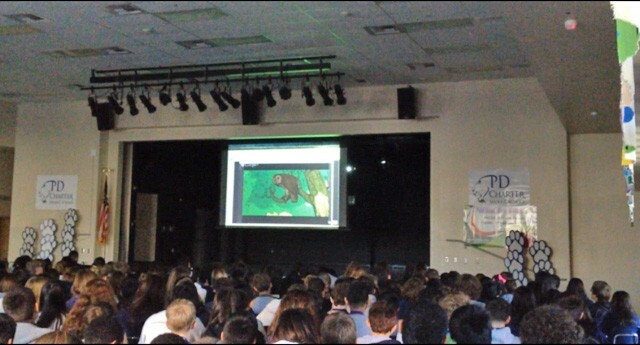 An auditorium of seventh graders in California tunes in to our broadcast. 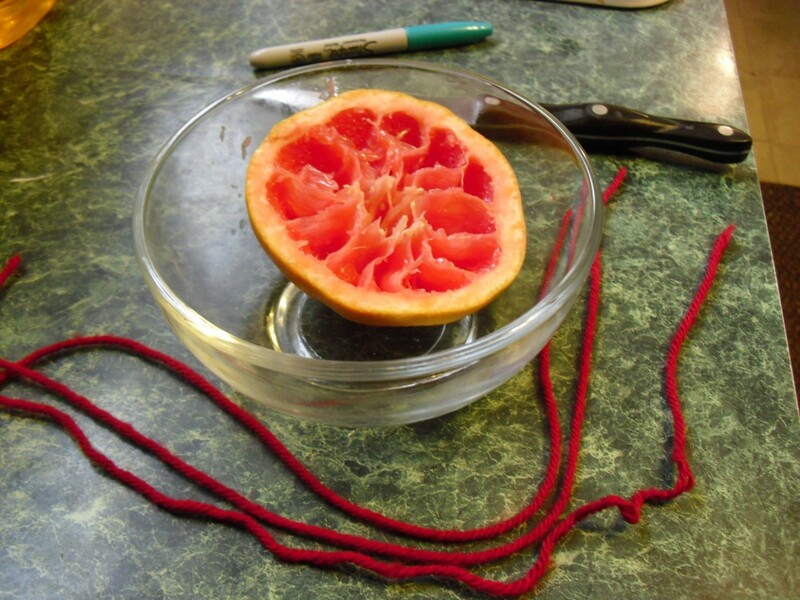 From a technical standpoint, it was critical to know the limits of this technology. Google Hangouts currently allows up to ten screens to actively participate in an on-air event, and our entire program had to be done live, as Google Hangout on Air does not allow for streaming video. We used four of our allotted screens at the Garden: one for our graphic novel with narration, one in the lab, and two in the field. The screens were controlled through a central operator (me!) who acted as an on-air producer, switching from one screen to another to control the on-air experience. We used two smartphones to transmit from the field, and tested several models with different operating systems and carriers to maximize image quality (especially in the woods), and keep gaps in the transmission to a minimum. Macintosh computers provided the indoor Garden screens; one was dedicated to the microscope, and the other used its built-in camera. The computers were hard-wired to the Ethernet network to ensure the best transmission possible. Delays were a minor issue: even under the best of circumstances, we experienced a short lag switching from user to user. This was particularly problematic when fielding classroom questions. Explore more with connected classrooms. While a virtual field trip is not a substitute for an actual visit to the Garden, it can offer something very different and unique, bringing together classrooms from all over the country. 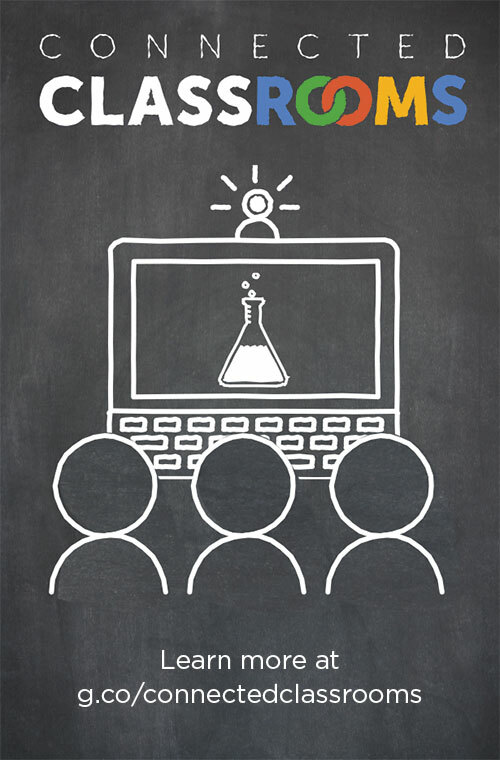 Virtual classrooms can also enrich classroom activities in schools facing budget shortfalls and scant funding for field trips. This new tool from Google can help us (and others) raise awareness about topics that affect us all from local to global impact. Follow us on Google+ to be alerted to our next virtual field trip and other Garden updates. Posted on January 2, 2014 January 3, 2014 Author Cheri van DeraaCategories EducationTags connected classrooms, conservation science, emerald ash borer, google+, invasive species, plant conservation, virtual field trip2 Comments on Who’s On Air?